Founded in 1887, the city of Claremont lies east of Los Angeles County at the foothills of the San Gabriel Valley. 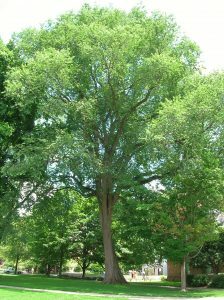 One of the only places where the American Elm Tree still stands, unexposed to the Dutch Elm Disease, these beautiful trees adorn this city of 36,000 people. All 5 undergraduate colleges we also categorized as “Most Selective,” the class of 2020 admission cycle 4 of the 5 most selective liberal arts colleges in the U.S. based on acceptance rate were a part of the Claremont Colleges. Half of Claremont’s restaurants are located in the historic downtown area known as the Claremont Village. The Village is full of boutiques and shops that feature fair trade shopping. Claremont is the first town in Southern California designated as a Fair Trade Town. This means merchants are supported locally and worldwide to adhere to environmental standards to help the planet, create safe working conditions, with fair prices, and help end forced child labor. Claremont is an ideal city for those looking to purchase their first home as a family. It is close enough to Los Angeles without the hustle and bustle of the city life. There are a plethora of activities for all types of people with with lovely museums and the world’s largest collection of native California flora. Individuals in love with the outdoors can enjoy scenic hiking, bicycling, horseback riding, and more. Families and children will have an amazing and safe community to grow and develop. For more information on the city of Claremont visit the official City of Claremont, California website. For dining, events, and more visit Discover Claremont.